Fatima Sugapong has been studying abroad and reporting in Morocco with the program, SIT: Field Studies in Journalism and New Media. I recently went to the hammam with my host sister, which is a bath house and a Moroccan tradition. Many people in the Medina don’t have showers in their homes, so they rely on the resources that the hammam provides. 2. You bring a change of clothes. 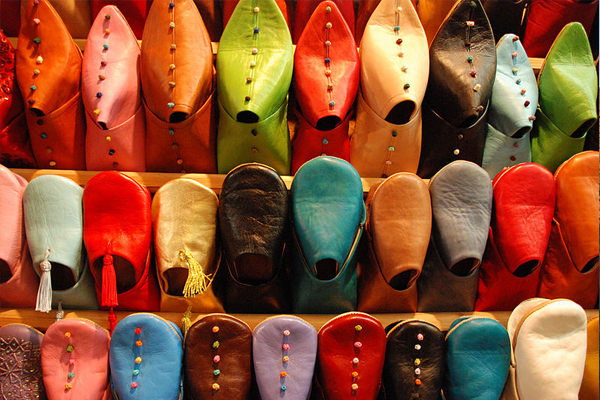 Moroccans typically bring a djellaba (traditional Moroccan robe), babouche (Moroccan house slippers) and a head scarf (to help avoid the cold after you step out of the sauna-like bath house). 3. You pay 10 dirhams, which is a little over $1, for entry. 4. You take off all your clothes in the changing room except for your underwear, put all your belongings in a bag and give it to the woman behind the counter. It’s common courtesy to tip her for keeping your valuables safe. Then say, “Shoukran!” which means thank you in Arabic. 5. Take your shower supplies with you. Don’t forget to grab some henna! Now you’ll get a bucket to collect the hot water in, a small bucket to dump water on your body and a small, plastic stool to sit on. 6. Settle down next to a faucet and fill your bucket up with water. Now rinse yourself completely. 7. Mix your henna with water, stir, then apply. This healthy green stuff will remove all the dead skin from your body, so apply generously and feel the dirt fall away from your skin while the hot steam opens your pores right up! It helps to bring someone with you to have them get your back. 9. Now’s the time you can apply the soap and shampoo you brought from home. 11. If the kasala is available, you can have her scrub you with henna. Her service is also based on tips. When I went with my sister, I gave her 40 dirhams, which is approximately $5. She’ll have you lay down on a rubber mat while she scrubs you. She can be a little rough, so if you want a more gentle experience say “shuya,” which means “only a little” in Arabic. Then she’ll lighten up. When she’s done, she’ll rinse you. 12. Repeat the process for as long as you like. Most women stay in the hammam for at least two hours or so. 13. When you’re done, go back to the changing room to dry off. Take your time. Lay down in your towel. Feel the warmth of your glowing skin. 14. Change into your nice, cozy, fleece djelleba and fleece pajamas and put on your head scarf. 15. Head home feeling refreshed! I’ll admit that my first experience in the hammam was a little awkward, what with having food poisoning and not truly understanding what to do. But my host sister was patient with me and walked me through it. The hammam is a sacred place to cleanse the week’s trials and troubles. For many women in the Medina, it is the only time they are not working or taking care of their families. It’s even an opportunity to reconnect with old friends. In the Rabat Medina, everyone knows everyone.